As you may recall from my prior post, "It all started with a desk. ", I have had a new project on my mind. Although I was loving all the new improvements to my room (and am sleeping better), I have been facing an empty expanse on my far wall. I wanted something that I could easily change up on whim, used some of my vintage goodies in a more modern way, and didn't weight the wall down (if that makes any sense). 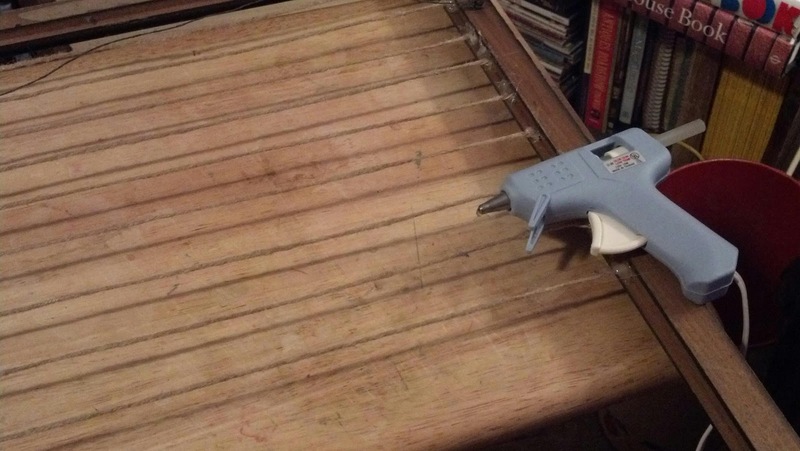 Well it's time to reveal what I came up with. I love how amazingly simple it was to make, yet meets all my qualifications as listed above. 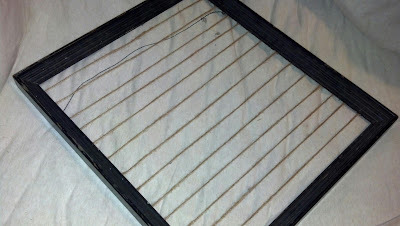 All it took was a vintage wooden picture frame (minus glass and back), hot glue gun, scissors, and jute twine. 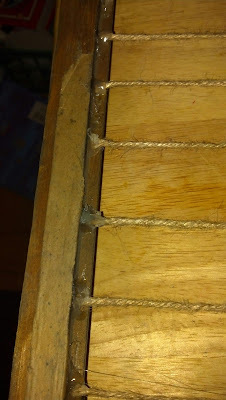 I hot glued one end of the jute twine to one edge, then held it to the other edge for easy measuring and cutting, and finally glued the other end in place. 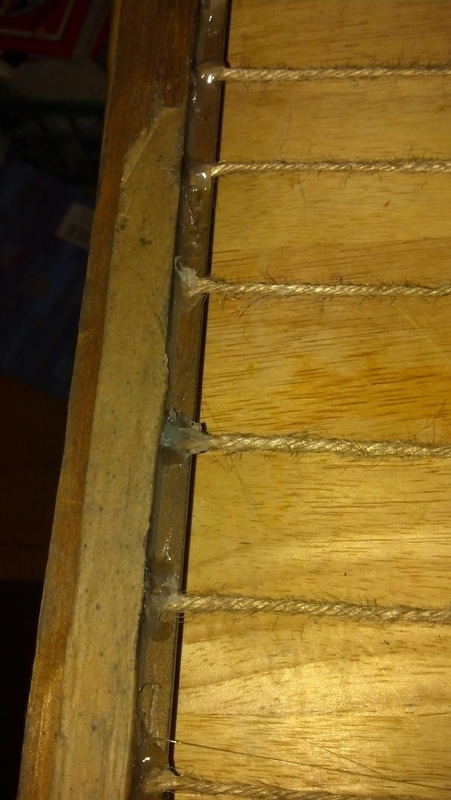 Although, I just randomly guessed the placing for my twine, you could easily measure out perfect intervals, criss cross twine, or more frequently place the twine to create a more solid look. 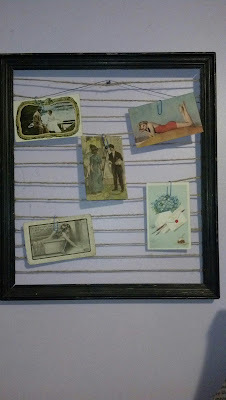 Finally I used paper clips to attach some of my vintage post cards to the twine. Thanks Wendy! And it was my pleasure, I'll keep an eye out for any further ones!